The head of the Leftist Front group, who has just finished serving his sentence for organizing mass riots, has called on other leftist politicians to unite and propose a single candidate at the forthcoming 2018 Russian presidential polls. “We need to unite and propose a single candidate from the leftists. Right now we need to find new people and hold primaries. … I will address Zyuganov and Mironov, as well as other leftist groups to work on it,” he told reporters on Thursday at his first press conference since his release from a penal colony, which took place on Tuesday. Gennady Zyuganov and Sergey Mironov are the leaders of the two leftist parliamentary parties – the Communist Party of the Russian Federation and the Fair Russia party, respectively. “This does not mean some brotherly bond, I am calling to unite in order to solve some common problems,” the activist added. 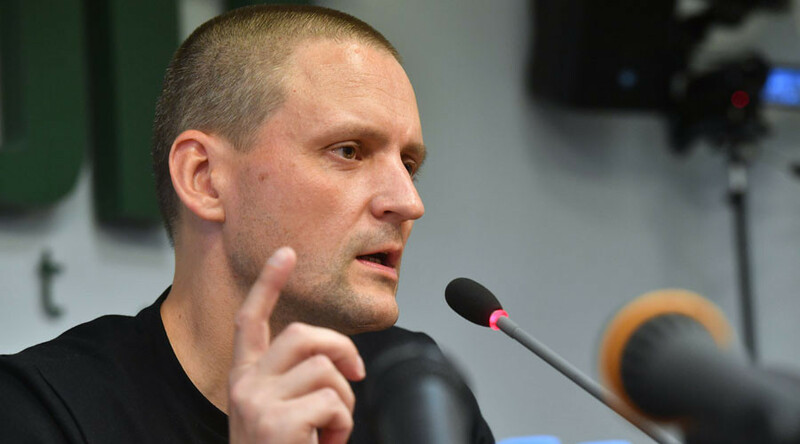 Udaltsov also promised to recruit more people in the Leftist Front and revamp the group so it can launch new protest actions in autumn. “November 7 is an important date for leftist forces all over the country. I would like to call on the leftist forces to abandon all internal strife and hold a major rally on this day. But we do not support violence or confrontation, we are among the most peaceful groups,” he said. “[Aleksey] Navalny is not my candidate. I will not rally for him,” he said. The activist went on to accuse the popular anti-corruption blogger turned opposition politician, Navalny, of “deliberate provocative acts” that ended in the arrests of many people. 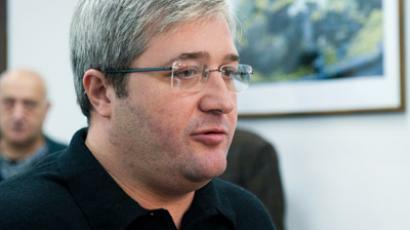 The head of the Moscow headquarters of Navalny’s support group, Nikolay Lyaskin, said in comments with RBC news that neither his boss nor his comrades had taken part in any provocations described by Udaltsov, adding that it was difficult for him to speculate on the motives behind Udaltsov’s statements. 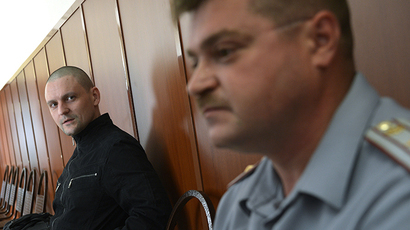 Sergey Udaltsov was sentenced to four-and-a-half years in prison in 2014 after a court found him guilty of organizing mass riots in Moscow in May 2012. His close aide, Leonid Razvozzhayev, also received a four-and-a-half-year sentence in the same case, which ended in April this year. The unlawful actions took place at Bolotnaya Square in Moscow on May 6, 2012, shortly before President Vladimir Putin’s presidential inauguration. On that day, several Russian opposition parties held a sanctioned rally against alleged violations during the 2011 parliamentary polls. At first the march went peacefully, but then some of the protesters started to violate the conditions of the event and clash with police officers trying to restore order. As a result, the rally was dispersed and many people were detained. Police established the identities of the most active rioters, found and charged them. Subsequent trials have resulted in several convictions and sentences, as well as one court order for compulsory psychiatric treatment.